Nothing tastes better on a hot day than an icy fruit popsicle, and this bright recipe is as delicious as they come. 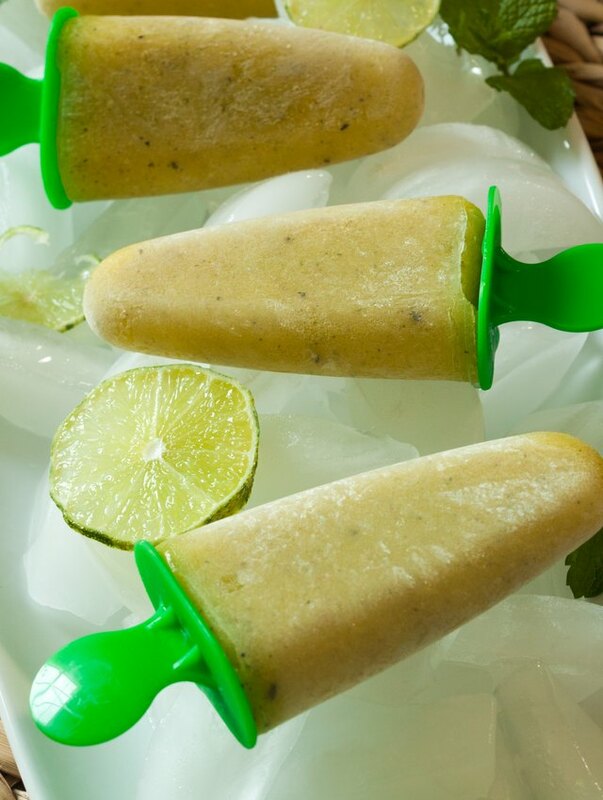 Made with peeled raw mangoes that are mixed with cool mint, spicy ginger and sweet limes — plus a pinch of cumin seeds for an unexpected finish — these popsicles are healthy and refreshing treats that are perfect for the dog days of summer. Freeze a batch on a cool night in anticipation of a sweltering afternoon by the pool, and everyone with a stick in hand will be grateful for your quick thinking. Just be sure to grab one for yourself, too! Start by washing the mangoes well. Next, peel the skin with a vegetable peeler and then chop around the pits. 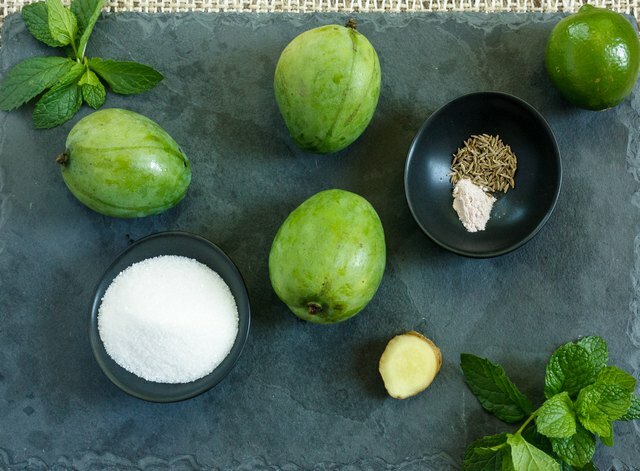 Add the pulp and pits to a medium-sized pot with about 2 cups of water to cover the fruit. Cook on "high" heat until the mixture is boiling. Finally, reduce the flame to "medium-low" and cover the pot. Wait until the fruit is cooked through, or around 15 minutes. In the meantime, dry-roast about half of the cumin seeds in a pan, until they're fragrant. Keep moving the seeds around to prevent burning. Let the mixture cool completely, and then remove the pulp from the seeds. Discard the seeds. 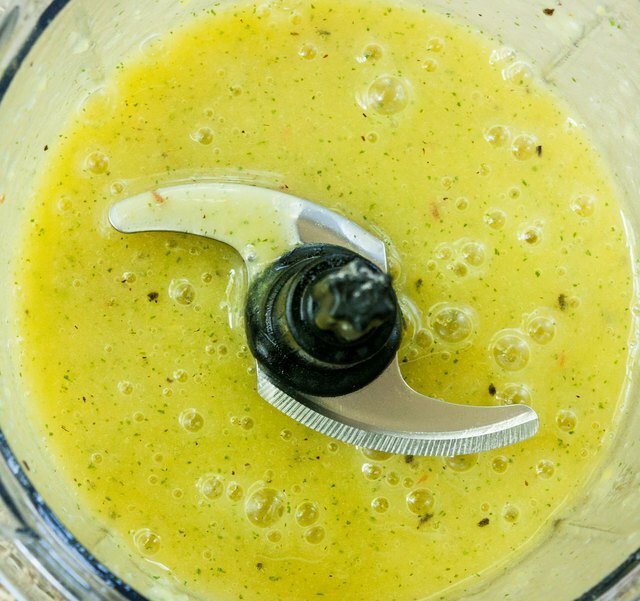 Pour the mixture into a blender with the remaining ingredients and blend everything into a smooth paste. 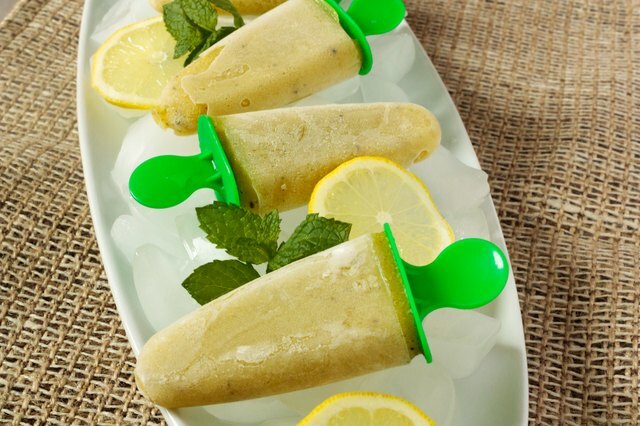 Pour the mixture into popsicle molds and freeze for at least 5 hours, or overnight. When they're frozen, the popsicles are ready to eat!